Aim of the project is to re-establish the active raised bog habitats and site hydrology in the areas that are influenced by drainage and to protect the raised bog habitats, plants and animals of European and Latvian importance. 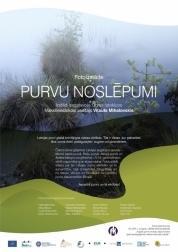 In Kolka Culture house during Sea festival on July 18, 2015, also the project's photoexhibition "Secrets of Mires" will be presented. On June 4, 2015 in the frame of the Green week 2015 in Brussels the LIFE project LIFE08 NAT/LV/000449 „Raised bogs” gets the European Commission award as one of the best LIFE projects in 2014. On August 13, the final seminar of Project „Raised Bogs” took place in Old Riga. The final seminar of LIFE+ project “Raised bogs” will take place on August 13, at 12.00, in the conference hall of the University of Latvia in Old Riga, in Valnu street, 5th floor. From June 11, the project's photo exhibition "Secrets of Mires" is placed in the Botanical Garden of the University of Latvia. In the Botanical Garden of the University of Latvia during the Plant Conservation Day on May 17, pupils had an opportunity to become real mire researchers and find out more about mire nature values in the exposition of the LIFE project “Raised Bogs”. On May 17, visitor of the Botanical Garden of the University of Latvia had a possibility to watch the project film “Mires Uncovered”. The 6th Project Steering Group meeting took place at the Botanical Garden of the University of Latvia on May 17. 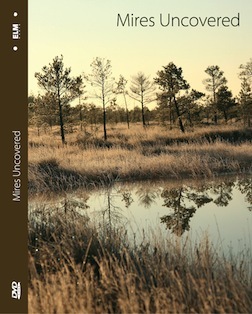 The Project documentary film „Mires Uncovered” will be presented in the Botanical Garden of University of Latvia on May 17 at 12.00. Film was made by foundation ELM MEDIA. Sixth meeting of the EC LIFE project "Raised Bogs" Steering Group will take place on May 17 at 11.00 in the Botanical Garden of University of Latvia, in Palm House, Kandavas street 2, Riga. Project’s photo exhibition “Secrets of Mires” is placed in Sala Library. Project’s photo exhibition “Secrets of Mires” is placed in Slate Library. From March 1 until April 3 the project’s Photo Exhibition “Secrets of Mires” is located in Laubere library. To evaluate quality of the dams on drainage ditches, they were surveyed during the winter. Monitoring of mire hydrology regime continues all year long, even during the winter. Exhibition "Secrets of Mires" is traveling around! It is made by Ogre Photo Club.